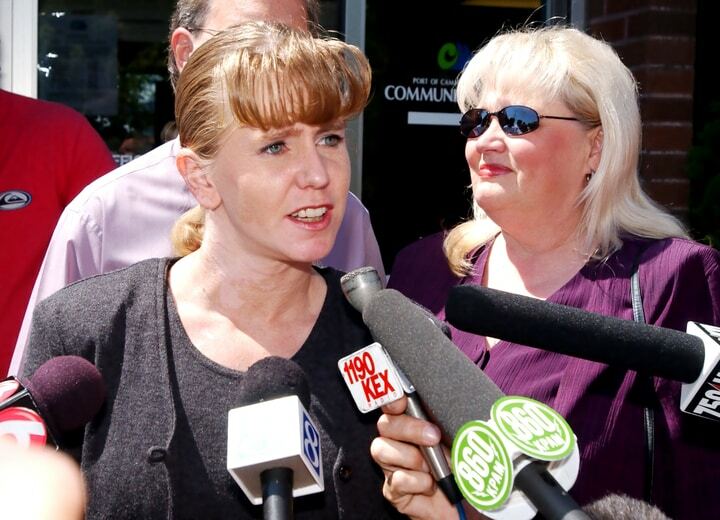 The life and times of former figure skater Tonya Harding is quite a sports odyssey. Harding’s name is inseparably entwined in infamy for her role in the attack on her rival, Olympic figure skater Nancy Kerrigan. The world was fascinated by the infamous attack on Kerrigan, which happened just before a qualifying competition for the 1994 Winter Olympics. As the story unfolded, both athletes took to the ice as teammates representing the USA – the tension was palpable at the Olympics. But in the years leading up to that moment, Harding was considered one of the top talents in the sport. After all those years of hard work, training, and competing to reach the top, everything came crashing down – including her career on the ice. 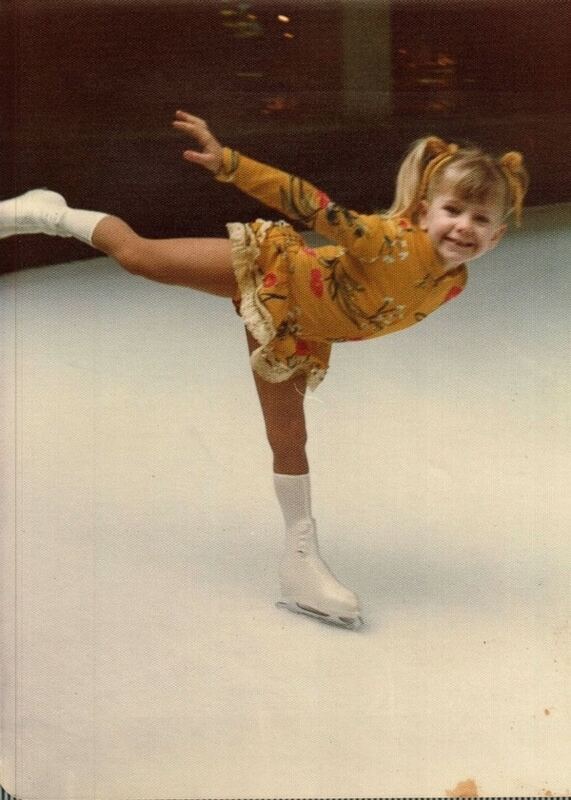 Take an inside look at Tonya Harding’s rise to figure skating prominence, fall from grace, and life as an infamous Olympian in the years since. 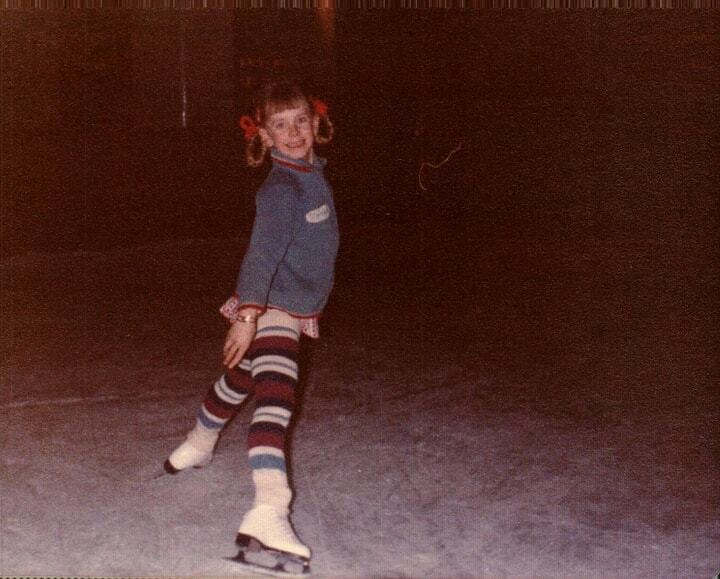 On November 12, 1970, Tonya Harding was born to parents Albert Harding and LaVona Golden in Portland, Oregon. Harding was born into a life of adversity. Perhaps the family’s hardships prepared – or doomed – her for a lifetime of challenges. The Hardings were a working class family that endured its fair share of struggles. Tonya’s mother worked as a waitress. Her father, Golden’s fifth husband, worked a slew of blue-collar jobs. Harding’s upbringing showed in her tough attitude, which defied figure skating standards both on and off the ice. 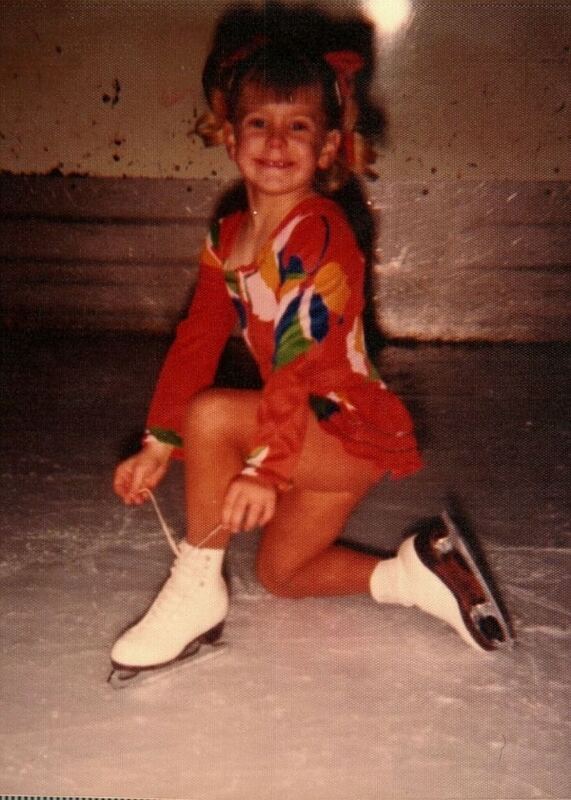 Harding was born to compete and learned to love ice skating from an early age. By the age of three, her mother already had her daughter’s ice skates laced up. Though figure skating was her passion, Harding was plenty active off the ice too. As a youngster, Harding also kept busy following in her father’s footsteps. Albert Harding taught his daughter activities from across a very wide spectrum. 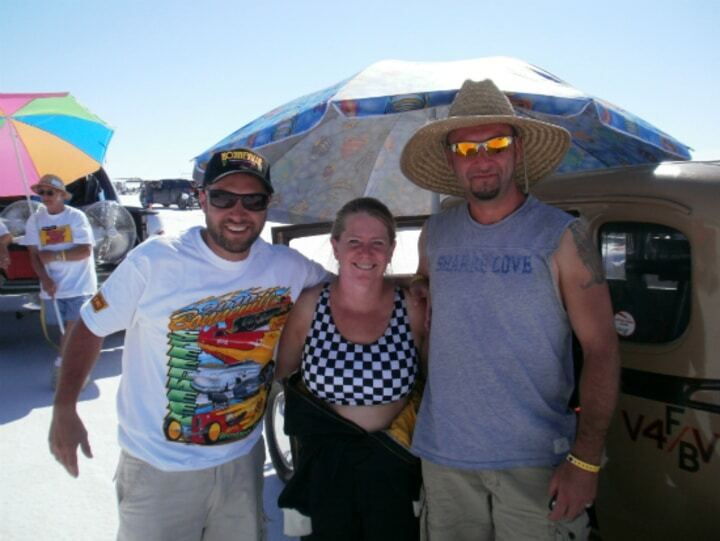 Tonya learned how to hunt, drag race, and even how to fix cars from her dad. As much as Harding learned from her father and skated under the tutelage of her mother, it was not all fun and games. In fact, life was tough for the Harding family. Both parents struggled to support the family. Harding’s mom worked around the clock with jobs as a waitress, bartender, and cook, while her father worked at a rubber factory. The expensive sport of figure skating undoubtedly took a toll on Tonya Harding’s family. They couldn’t afford much, so Golden would hand-sew Tonya’s skating costumes out of the back of their trailer. Despite this seemingly loving gesture, her support wasn’t all so innocent. LaVona Golden was much more than a typical mom cheering her daughter on from the sidelines – she was Tonya’s personal manager. Unfortunately, while Al Harding taught his daughter many things that she still holds dear, Golden had a different role in their child’s life. Golden was a looming figure in the Harding family as she took on more of a “business” role. The unhealthy relationship between Harding and her mother is well documented, and the two reportedly have not spoken since 2002. In the Tonya Harding biopic “I, Tonya,” Alison Janney plays the controversial role of Harding’s mother, though the real-life Golden claims the portrayal isn’t accurate. No matter what Harding did, in her eyes she felt it wouldn’t be good enough for her mother. Despite Harding’s troubled home life, local figure skating coach Diane Rawlins saw the young athlete’s potential and began training her more frequently. Harding claims that she was in high school when her mother’s behavior became more extreme. Golden’s parenting and coaching roles continued to blend into one, worsening with time. At age 15, Harding dropped out of Milwaukie High School in her sophomore year to focus solely on her figure skating career. Harding would eventually earn her GED, but when she dropped out of school the focus became fully centered on her performance in the rink. This is just one of many examples that illustrate just how far Harding (and her mother) were willing to go in order to win. As the years passed, Harding honed her increasing figure skating skills and talent. In 1986, she finished sixth at the U.S. Figure Skating Championships; Harding took second place at Skate America the same year. Two years later, Harding bumped up a spot to take fifth place at the 1987-8 U.S. Championships. After floating just outside the bubble of the sport’s top performers, Harding’s hard work finally paid off in 1989. In a milestone moment, the young talent broke through. Harding secured third place at the U.S. Championships and won gold at Skate America. However, the breakout year would soon take a backseat to the life-changing event that came the next year. Harding was finally getting some deserved recognition in her sport, but 1990 was a landmark year in the young figure skater’s life for a very different reason. The new decade marked a new chapter in her life, as 19-year-old Harding married 23-year-old Jeff Gillooly. After growing up with an allegedly abusive mother, it seems that Harding followed a familiar path in marrying Gillooly. The marriage turned out to be quite the tumultuous ride. Gillooly would go on to mimic the “helicopter” role formerly played by Harding’s mother, closely hovering over and watching his wife’s career. After Harding’s impressive showing through ’89, she was widely considered a top contender to take gold in the 1990 U.S. Figure Skating Championships. Harding had a reputation as a powerful free skater, and she typically scored very high in that portion of the competition. However, the high expectations were met with a harsh reality instead. At the competition in Salt Lake City, Harding was suffering from the flu. Despite the setback, she managed to hold on to second place initially. But the flu, combined with asthma attacks – something Harding has struggled with throughout her life – were too much to fight through. After a poor free skate, Harding fell to a seventh place finish. After falling short of expectations the year before, ’91 proved to be the standout year so many were anticipating for Tonya Harding. Harding stunned the crowd at the U.S. Championships, successfully executing her first ever triple axel. The jump helped secure her spot atop the podium. 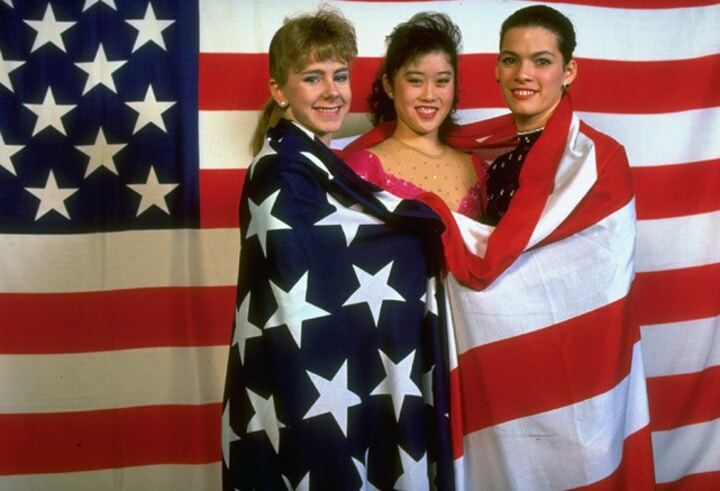 Some of the best American figure skaters rounded out the womens’ podium that year: Kristi Yamaguchi in second, Nancy Kerrigan in third, and Tonia Kwiatkowski in fourth place. For Harding, it was a well-deserved first place. The triple axel was not only Harding’s first in competition, it earned her an unheralded score at the event. Her performance earned the U.S. Championships’ first ever 6.0 score for technical merit in the female singles program. Even after her win at the U.S. Championships, Harding was far from done with dominating ’91. She still had a lot of spins around the ice rink left to show the world what she could do. At the 1991 World Figure Skating Championships, Harding pulled off another triple axel. She earned a trip to the podium, this time with a second place finish. Harding’s triple axel and podium finish also helped set new records for American female figure skaters. Although Harding was likely eyeing gold, her second-place finish was still significant in two ways. For one, she helped the United States become the first country to sweep the World Championships. Again, Harding stood on the podium alongside Kristi Yamaguchi (first) and Nancy Kerrigan (third). Also, perhaps even sweeter, Harding became the first American woman ever to complete the triple axel in international competition. Harding still had more to prove. At the 1991 Skate America competition, she flashed her not-so-secret weapon yet again. Predictably, Harding’s pioneering of the impressive move earned her another trip to the podium – this time back on top for a gold medal. Harding also recorded three firsts at the Skate America competition that year. She was the first woman to complete a triple axel in the short program, and the first woman to complete the move twice in one competition. Harding was also the first figure skater ever (male or female) to complete a triple axel combination with the double toe loop. The triple axel brought Harding a whirlwind of success through ’91, but it would not follow her into ’92. Harding would never execute a triple axel in competition again. An ankle injury during practice hindered her performance in the 1992 U.S. Figure Skating Championships. However, she still managed to place third and earned a chance to represent Team USA at the Winter Olympics. Tonya Harding’s trip to the 1992 Winter Olympic Games in Albertville, France was a bittersweet one. Harding took to the ice amongst her usual top competition, including Yamaguchi and Kerrigan. While Yamaguchi went on take gold and Kerrigan silver, Harding landed just off the podium with fourth place after scoring fourth in the short program and sixth in free skating. After her disappointing finish at the 1992 Winter Olympics, there was no fairytale turnaround in 1993 for Harding. Her poor showing at the 1993 U.S. Figure Skating Championships was disheartening on multiple levels. As a result, she failed to qualify for USA’s World Championships team. Worse yet, Harding’s problems followed her off the ice too. Her marriage to Gillooly had gone downhill quickly. Gillooly’s abusive habits only further highlighted what had already been a toxic relationship. In August 1993, Harding and Gillooly officially parted ways. January 6, 1994 is a date that will live in infamy in figure skating history; the day’s event forever changed American athletics and competitive sports throughout the world. This day marks the infamous attack on Nancy Kerrigan at the U.S. Figure Skating Championships in Detroit, Michigan. After Kerrigan finished a practice run in Cobo Arena, she was attacked by a man eventually identified as Shane Stant. Stant battered Kerrigan’s leg with baton, effectively forcing her out of the competition. The mystifying assault only grew more stunning in the coming days. With Nancy Kerrigan forced to sit out of the 1994 U.S. Figure Skating Championships after her scary encounter, first place was Harding’s for the taking. Harding took full advantage of Kerrigan’s “convenient” absence from the competition. Two days after the Kerrigan attack, she stood atop the podium as a champion. Fortunately for Kerrigan, her missed chance to medal at the U.S. Championships did not jeopardize her opportunity to compete in the upcoming Olympics. Kerrigan was given a spot on Team USA’s 1994 Olympic figure skating team, over the competition’s second place finisher Michelle Kwan. Harding was also selected for the Olympic team. Media mayhem led up to the 1994 Winter Olympics in Lillehammer, Norway. For the first time in Olympic history, the 1994 Winter Games were held in a different year than the Summer Games – just two years after Tonya Harding and Nancy Kerrigan last represented Team USA in the 1992 Olympics. The figure skating world in particular was rife with drama, thanks to the Kerrigan incident. Tension mounted as the two skaters at the center of the scandal shared the practice ice. Then, two conspirators involved in the attack were identified in January. Jeff Gillooly, who had remained close to Harding despite their marriage ending, and Shawn Eckhardt, Harding’s personal bodyguard, were implicated in the Kerrigan attack. The ties to Harding were almost undeniable, enough so that the Olympic Committee planned on withholding her eligibility. Facing a potential lawsuit if they barred Harding, and without hard evidence directly tying her to the attack, the Olympic committee was all but forced to allow Harding to compete. When the 1994 Winter Olympics arrived, everyone tuned in to watch the events in Lillehammer. Of course, all eyes were focused on the American figure skating soap opera. When it was time for the women’s short program, the entire world tuned in. The tape-delayed broadcast remains one of the most watched in American history. For fans around the word, the scene in the ice rink played out like the perfect drama. Harding’s entire performance was in shambles. Even after the judges’ controversial decision to allow Harding to re-skate after an “issue” with her skates, Harding finished eighth. Kerrigan, however, overcame all odds to win silver, narrowly missing out on Olympic gold in a 5-4 decision. It was a storybook ending for Kerrigan, but Harding’s story line as a disgraced figure skater had only just begun. For Tonya Harding, the aftermath of the Kerrigan attack didn’t end with her rough showing at the Olympics in Lillehammer. Rather, it was the surrounding drama that truly clung to Harding. On March 16, Harding pleaded guilty to “conspiring to hinder prosecution in the attack on Nancy Kerrigan.” Her sentence included three years of probation, a $100,000 fine and 500 hours of community service. The plea bargain also required Harding to withdraw from the 1994 World Championships and resign from the U.S. Figure Skating Association (USFSA) – but that wasn’t all. The USFSA conducted its own investigation and, on June 30, stripped Harding of her 1994 U.S. Championships title. 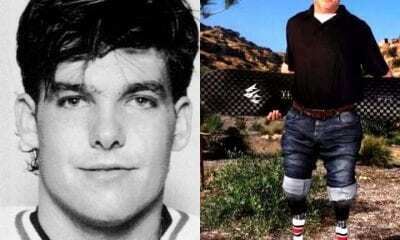 The association also banned Harding for life from competition (as a skater or coach) in the United States. Now banned from the one thing that consumed nearly the entirety of her life, Harding was forced to forge a new path in life. There was no clear direction for the former figure skater, who was trekking into uncharted territory for the first time in her life. Faced with a difficult path ahead, Harding tested any waters she could – and took some strange opportunities. In June 1994, Harding appeared on a professional wrestling promotion, Lucha Libre AAA Worldwide in Portland, OR. One month after that, she tried her hand at acting. Harding joined the cast of low budget film “Breakaway,” which was later released in 1996. This was only her first step down the rabbit hole of pseudo celebrity. The ban from competitive skating meant Harding lost out on much more than just future prize money. Sponsors wanted nothing to do with the disgraced skater, making it difficult to earn a steady income and pay off that $100,000 fine. 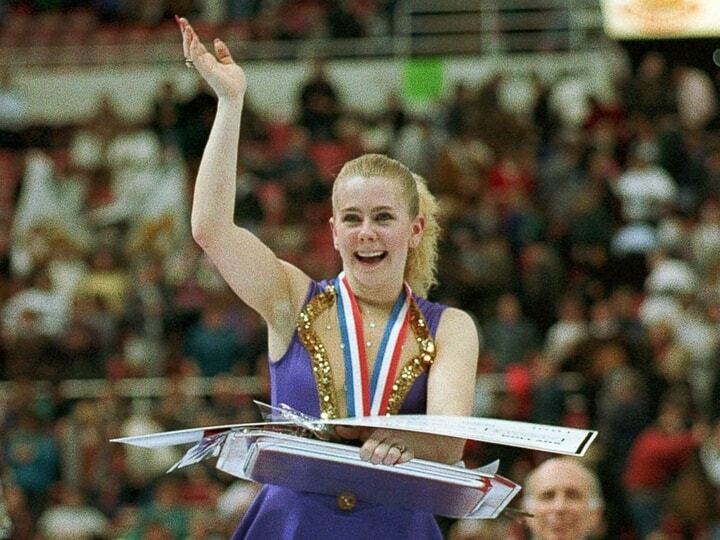 Though banned from the USFSA, Tonya Harding found a way to publicly perform a figure skating routine once again. In February 1997, Harding took to the ice in front of a sold out crowd in Reno, Nevada. She performed a short figure skating routine just before the Reno Renegades minor league hockey game began. The crowd who witnessed Harding’s first public performance since the 1994 Winter Olympics had a mixed reaction, to say the least. As Harding skated onto the rink, she was met with a mix of cheers and boos. At the end of her routine, some fans threw customary flower bouquets onto the ice… while others hurled rubber batons, an unsettling nod to Harding’s involvement in the Nancy Kerrigan scandal. The hard times were far from over. Even back home in Portland, Oregon – where her staunchest supporters remained – it seemed all support for the former hero had dissipated. In September 1995, Harding’s band, The Golden Blades, attempted to open for Kool and the Gang, but was booed off stage. While Harding’s public image continued to be shattered into ever-smaller pieces, her private life was no better. In 1995, Harding entered another doomed relationship, marrying Michael Smith. By 1996, the two had parted ways. Nobody expected what came next for Tonya Harding, though. Still appearing in any spotlight that would risk featuring her, Harding found another form of competition to try out. In 2002, FOX television invited her to appear on its Celebrity Boxing show. The opportunity was a chance for the former Olympic figure skater to prove that she was a multi-talented athlete. Harding accepted the challenge. 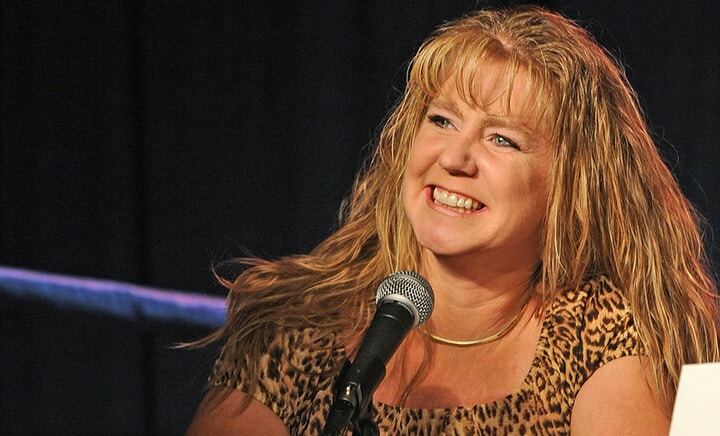 On March 13, she ditched the rink and stepped into the ring to fight Paula Jones. Even though Harding won the match by TKO, she didn’t quite get to “prove herself” since Jones spent most of the time between the bells trying to run away and avoid Harding’s blows. The event garnered some 15 million viewers. Harding even went on to compete in a few professional boxing matches. Still, she continued down a rough and rowdy path outside of the boxing ring. The Kerrigan attack wasn’t Harding’s only run-in with the law. In February 2000, Harding was arrested after a drunken argument with then-boyfriend Darren Silver, during which she reportedly hit him in the head with a hubcap. The incident landed her in jail for three days. She was also given two years of probation with the stipulation that she not drink alcohol. Harding’s financial troubles also continued. In January 2002, a judge evicted Harding from her home after she failed to pay off accumulated rent and late fees. A few months later, Harding ran into the law again when she was pulled over for drunk driving with under one month left of her probation. She spent another 10 days in jail as a result. After a hiatus from professional sports that lasted nearly two decades, Harding once again got a shot at competing. Rather than re-enter the skating rink again, Harding entered the boxing ring for her next chance to compete as a pro athlete. 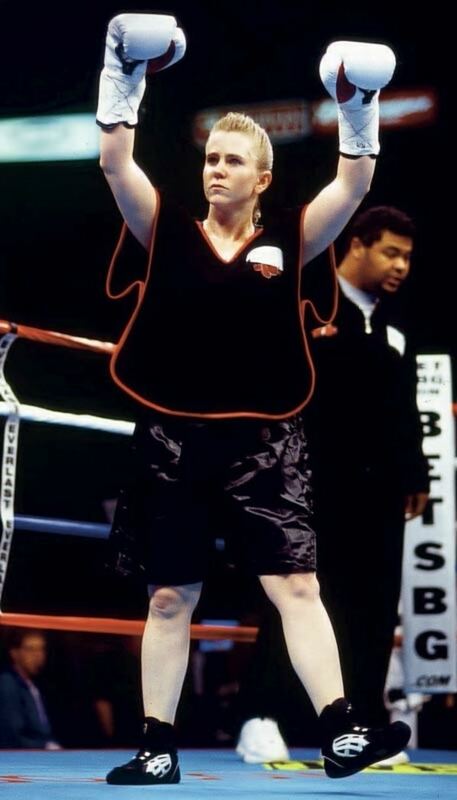 Harding made her women’s professional boxing debut on February 22, 2003. She debuted against Samantha Browning as the undercard for the Mike Tyson-Clifford Etienne bout. While Tyson wrapped up his final career win by knockout in 49 seconds, Harding was able to duke it out through all four rounds before losing in a split decision. That loss didn’t stop her from fighting on, though. Harding went on to fight in five more professional boxing matches. The loss to Browning was followed by three straight wins by decision. However, the hot streak ended with two losses by TKO to end her career. Her final professional fight took place in June 2004. Before Harding concluded her rather forgettable 3-3 boxing career, she appeared in another celebrity fight on Comedy Central’s The Man Show. 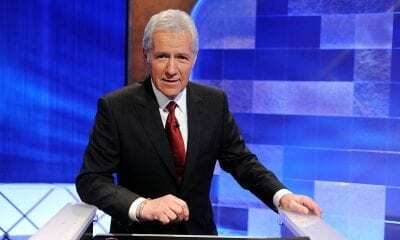 Harding faced off against comedian/co-host Doug Stanhope and took him through five rounds of whooping. She “won” the promotional stunt, though Stanhope later claimed the match was fixed. After living in the wake of the Kerrigan scandal for well over two decades, Harding decided to take matters into her own hands. In 2008, she released an autobiography, “The Tonya Tapes.” Unlike her other post-scandal business endeavors, the book seemed like an opportunity to lift the veil and shake her villainous image. As one would expect, the autobiography was grandiose. Harding’s side of the story stood in that stark contrast to how the media portrayed her. Many of her claims, though unsupported, depict Gillooly as a dangerous man and the evil mastermind behind the Nancy Kerrigan attack. Amongst her stories of Gillooly’s malevolence, Harding claimed that she wanted to tell the FBI what she knew about the attack. However, she was too scared after she was threatened and raped at gunpoint by Gillooly and two other men. 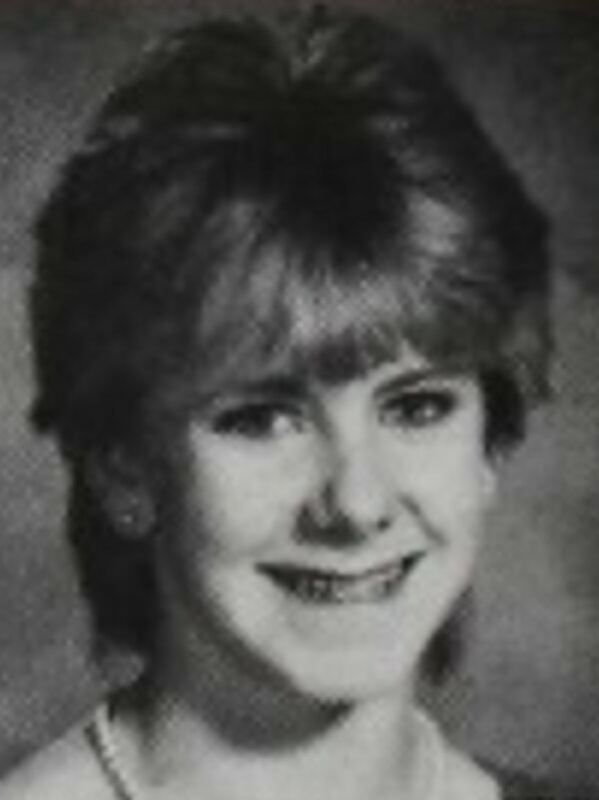 Over time, it became clear that Tonya Harding’s athletic career was over. So she turned to a new, yet familiar, hobby to supplant the competitive spirit she had honed in figure skating and boxing. Returning to one of her favorite pastimes, Harding rekindled her obsession with cars. When Harding’s career as a figure skater ended, it was difficult for her to earn a steady income. While the USFSA ban only extended to official competitions, she wasn’t welcomed on the professional circuit either. Many promoters and other skaters were unwilling to work with Harding. When she ended her boxing career, the celebrity appearances and events also dropped off – so again, she returned to her blue-collar roots. Harding took the many skills she had learned from her handyman father and put them to work. According to The New York Times, Harding worked numerous jobs “as a welder, a painter at a medal fabrication company, a hardware sales clerk at Sears” over the years. Things seemed to really turn around for Harding in 2010. Her previous failed relationships had often ended in a less than civilized manner. But in Harding’s eyes, those dark times were finally in the past. After meeting and marrying her third husband, Joseph Price, she now prefers to use the name Tonya Price. The couple married in 2010 and welcomed a child soon after. On February 19, 2011 Tonya gave birth to their only son, Gordon. Since giving birth, Harding has publicly emphasized that, unlike her estranged mother, she is a great mom. In 2014, ESPN aired “The Price of Gold,” a new piece on Harding from its acclaimed 30 for 30 documentary series. The doc first aired on January 16, just prior to the upcoming 2014 Winter Olympics in Sochi, Russia. 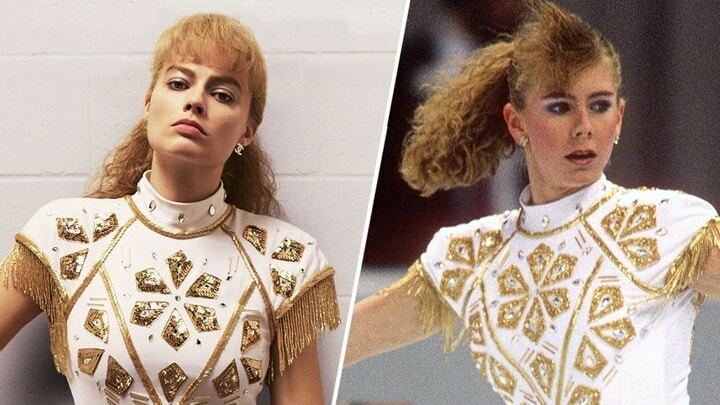 The show rekindled interest in the Tonya Harding tale, and set the stage for another big film a few years later. On December 8, 2017, the film “I, Tonya” debuted. In a stunning on-screen transformation, actress Margot Robbie stars as the disgraced figure skater. Tonya and Joe Price attended the premiere. With the 2018 Winter Olympics in PyeongChang, South Korea approaching, it was the perfect time to tell Harding’s story to the world. The biopic is based on hours of interviews with its subject and follows her through the years spanning her skating career and the Nancy Kerrigan attack. “I, Tonya,” has been nominated for, and won, several prestigious film awards since its release.